Picture this: Twelve miles of forested park. A rocky, rugged coastline dotted by secret sandy beaches. Seaside prairies. Three-hundred-year-old Sitka spruce trees. 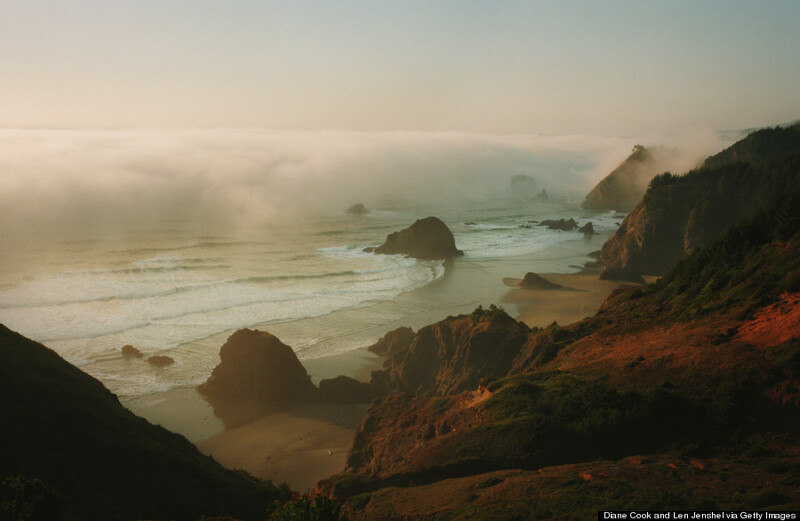 If heaven is called Samuel H. Boardman State Scenic Corridor, then we have found it. Located on the southern Oregon coast along the so-called “Banana Belt,” Samuel H. Boardman State Scenic Corridor is rife with natural wonders. Hikers can explore 27 miles of the Oregon Coast Trail, daredevils can attempt a swim under the gorgeous Arch Rock, and nature lovers can spy seals and whales from the shore. To read the entire story and see the rest of the photos of Samuel H Boardman Scenic Corridor on HuffingtonPost.com, click here.